© Katy Grannan. "Anonymous, LA, 2009"
fototazo has asked twelve photographers what makes a good portrait. This is the 10th in the series of their responses. The other responses is the series have come from Anastasia Cazabon, Margo Ovcharenko, Shen Wei, Lucas Foglia, Susan Worsham, Steve Davis, Elinor Carucci, Mark Powell, and Jess T. Dugan. Cori Pepelnjak strives to depict the power of human resilience and tenacity through her photography. Primarily self-taught, she was the recipient of the 2009 CENTER Project Competition Award for her ongoing series JoJo and was a recipient of a Minnesota State Arts Grant in 2010. She was a Critical Mass Finalist at Photo Lucida in both 2009 and 2010. Her work has been included in group shows at the Rayko Gallery of San Francisco, Art of Photography Show 2010 in San Diego, Photographic Center Northwest in Seattle, and IFP in St. Paul, Minnesota. She resides in St. Louis Park, Minnesota. Cori Pepelnjak: Great portraits make me ask questions. They arouse memories, emotions, and challenge personal perspectives. This experience is compounded and transmuted by the intentions of the photographer and some essence of the subject. 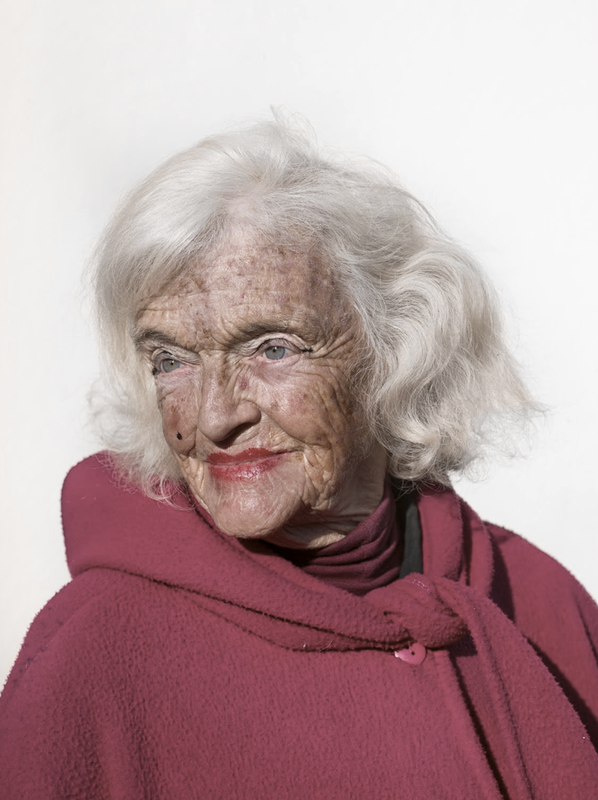 For instance, with Katy Grannan's image from her series, Boulevard, age, time, and experience are written across the woman's face. I find myself wanting to position myself in some way to be able to look directly into her sea-grey eyes. She takes me to a memory of my grandmother who in the winter wore a full-length fuchsia down coat and grossly applied lipstick to match, her drugstore foundation painted on the coats' collar. I am reminded of the time I asked her why her skin looked like salami. She told my mom that I had been impertinent—a new word to me at the time that left me feeling terribly guilty and confused. Still lured by the image, my mind jumps back to the woman in Grannan's photo. What is that look, almost a glint, in her eyes derived from? Is it sorrow, pride, or admiration? The light, tilt of her chin and the complexity of her gaze give her a sense of the timeless and eternal. At the same time, we get to unabashedly examine the immediacy of her aging flesh. There is such a raw beauty to her and I begin to picture her as a young woman in a one-piece swimsuit sunning herself in the company of equally beautiful young women. I then wonder, what will my face, my gaze look like at that age if I were posed in that place, in that light? I am coming out of one of the most difficult times in my life. My eyes, swollen frames to my blue, bloodshot pupils, still maintain a smile even during times of relentless tears. Over time, how will this experience be imprinted on my face, in my eyes? A new narrative is constructed in my mind, old memories are brought to the surface, and current conditions color my emotional response. This is the effect a great portrait can have on me. I am inspired to approach an individual to make a portrait when I find myself visually absorbed by, or lost in thought around, an individual—essentially, when I realize I am staring or unable to avert my eyes. The portrait is a format in which I attempt to convey my obsession with humanity and what it means to be human. Alive, impassioned, and active when photographing, I am acutely aware of the energy between myself and the subject. I try to create space to allow something obscure or mysterious to surface that will take the portrait beyond the expected and ordinary. I always inquire how the experience feels to them and why they oblige me. Asking those questions creates a dialogue that often reveals some significant characteristic or circumstance, further fostering the connection between us. It is easy to take for granted the simple fact that making great portraits creates fundamental human associations for the photographer, subject and viewer, not only in a moment, but also in perpetuity.